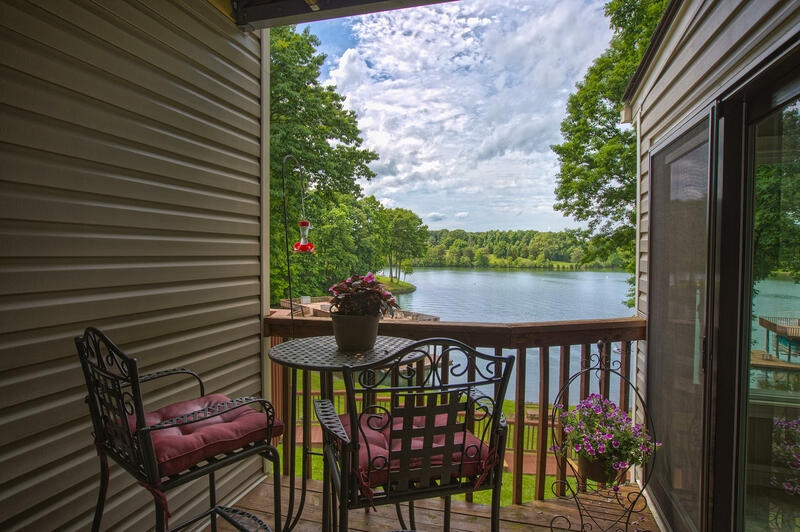 morning cup of coffee. 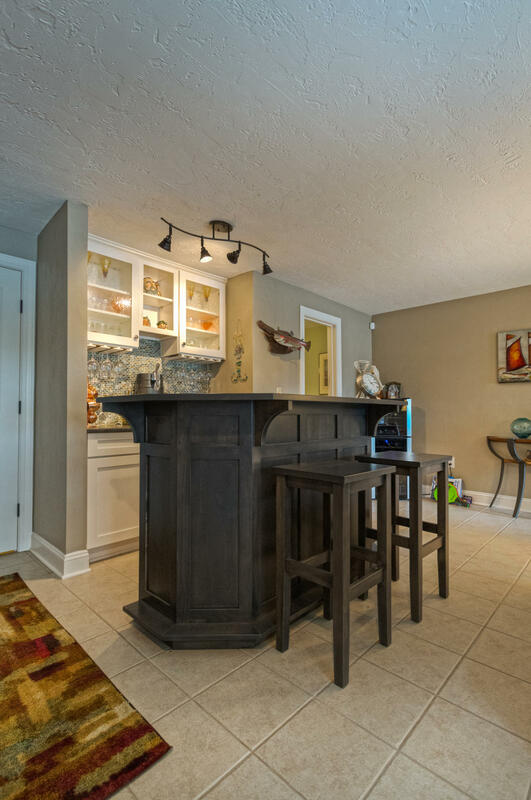 The lower level features a den with a custom bar that is a perfect space for entertaining, and the bar stools also convey as well as the over sized TV. 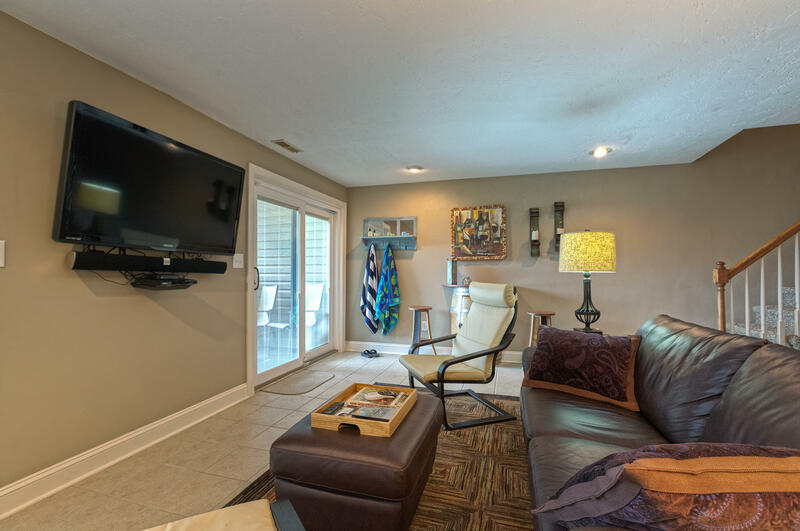 New tile floor, laundry room, full bathroom, and private covered patio. 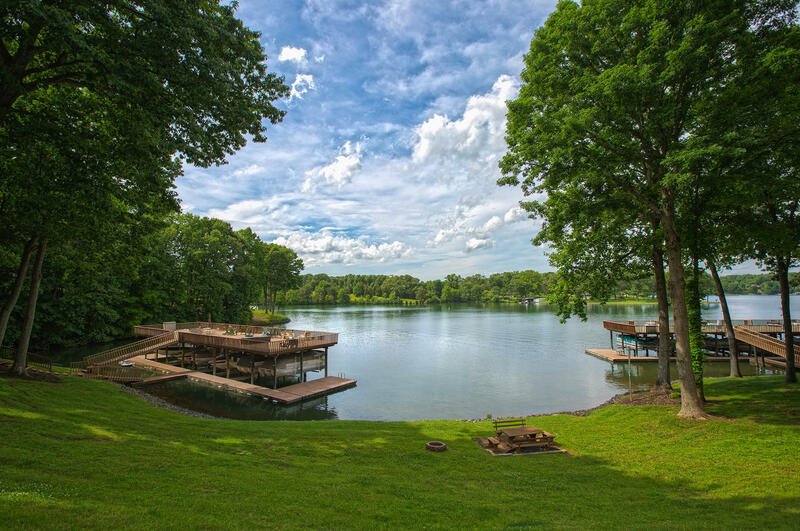 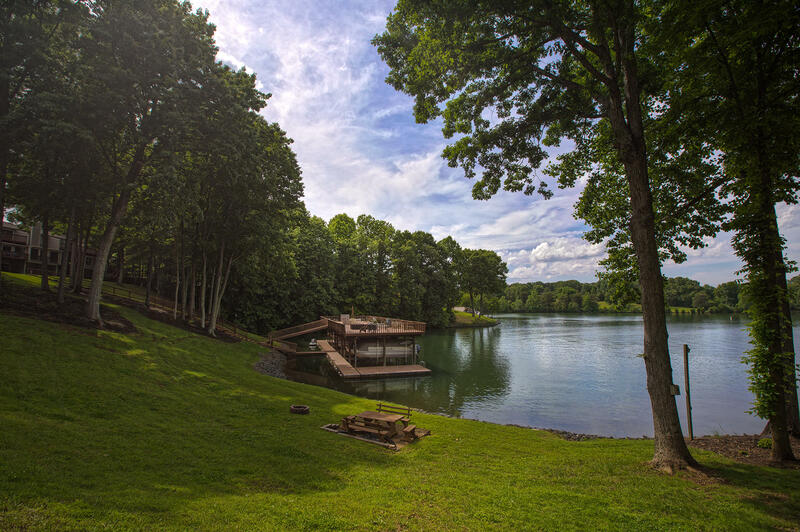 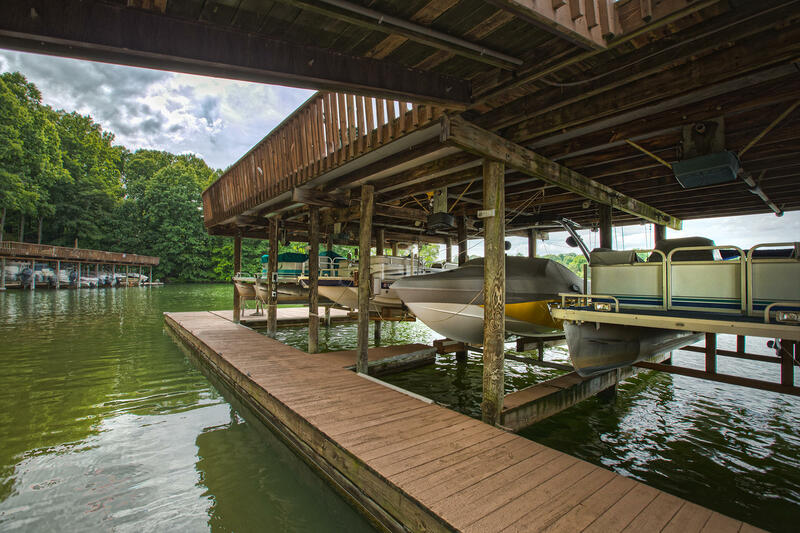 Just steps to the lake, on a level lot you will find the covered boat dock in a quiet cove, right off the main channel. 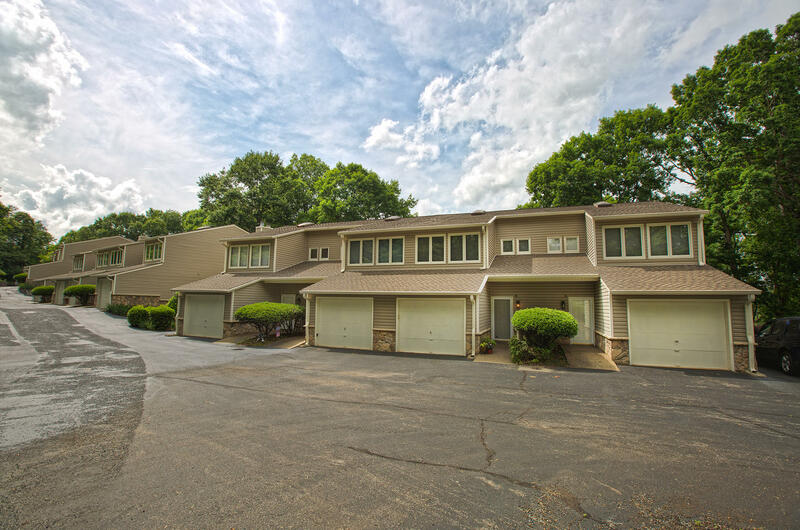 Single car garage, and the exterior of the town homes have just been updated. 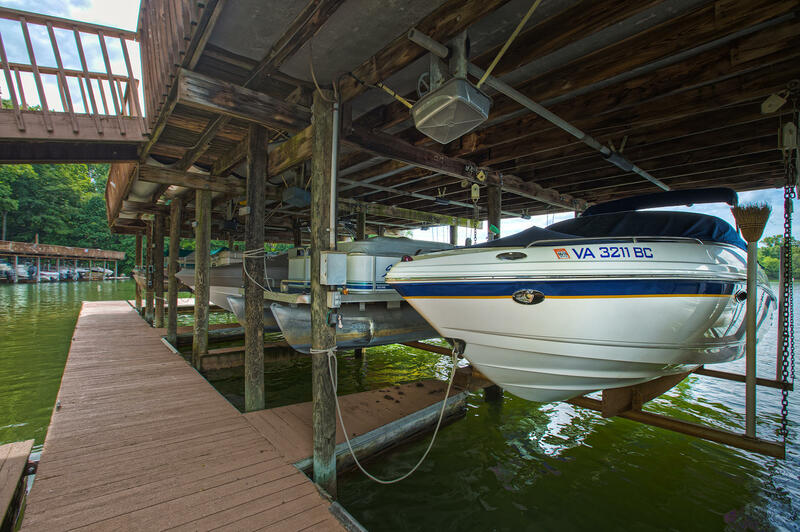 Other furnishings are available for purchase as well as a 2007 24' Sunchaser Fishing Pontoon boat w/ 50 HP Honda and trolling motor. 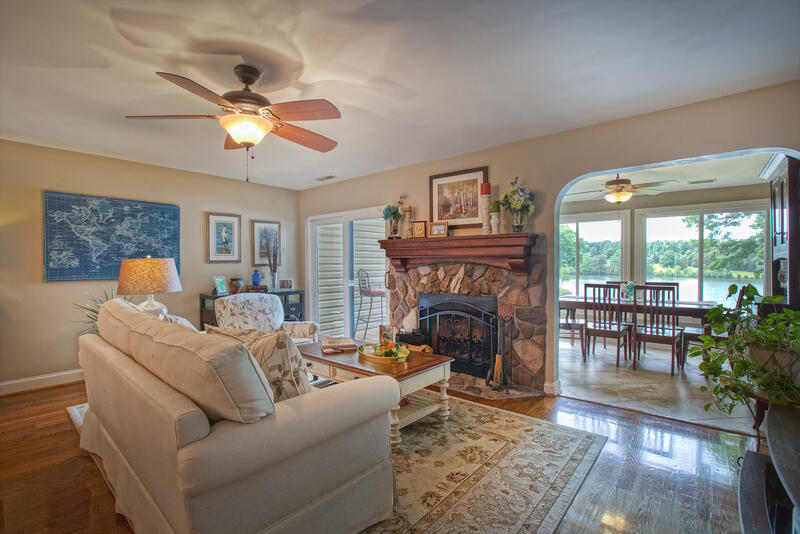 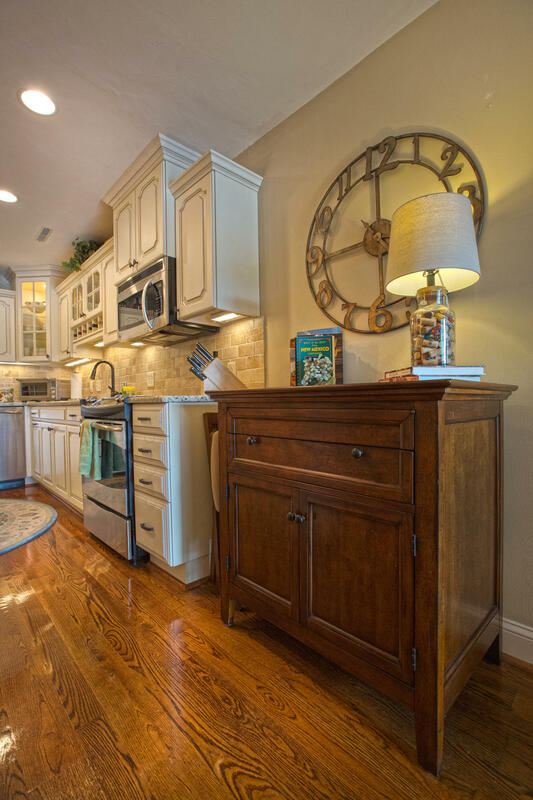 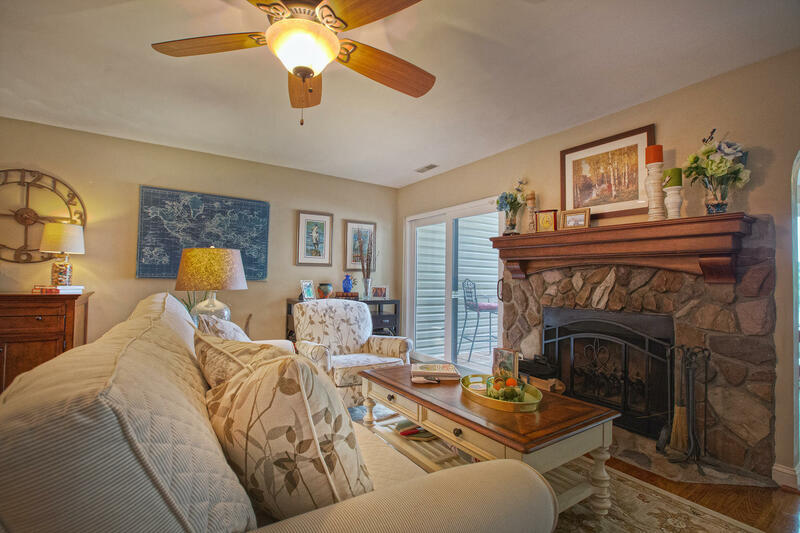 Come see this inviting home today! 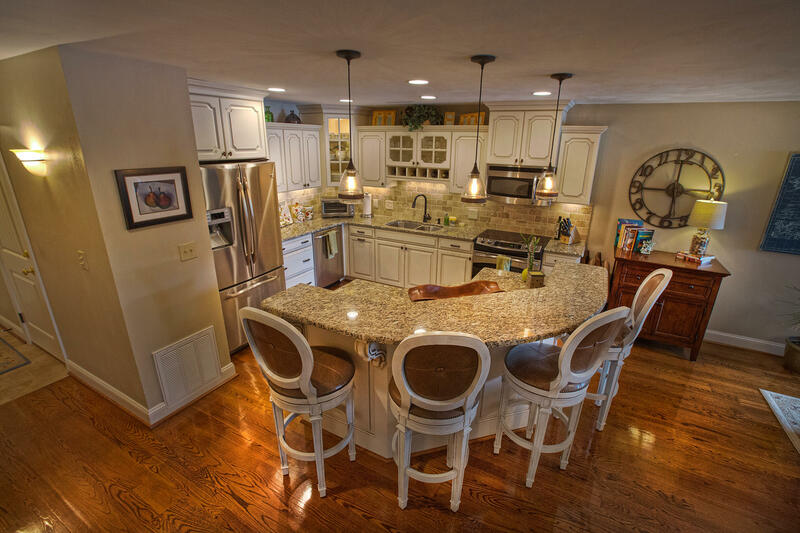 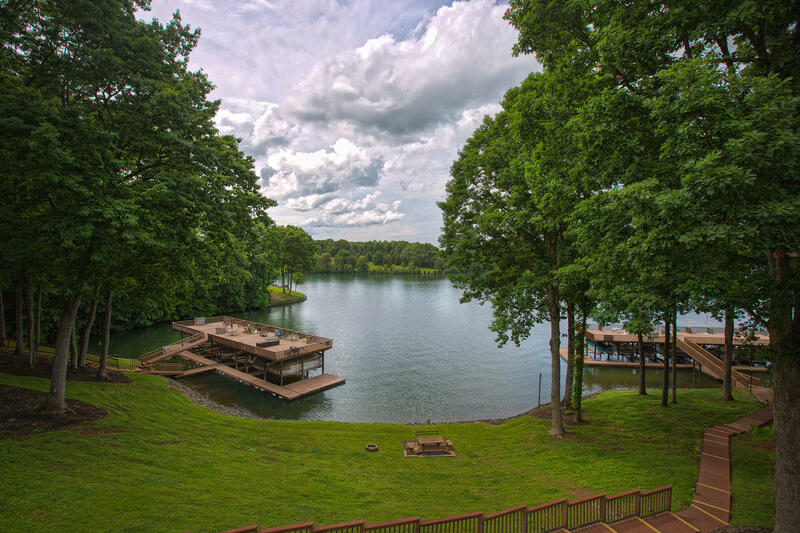 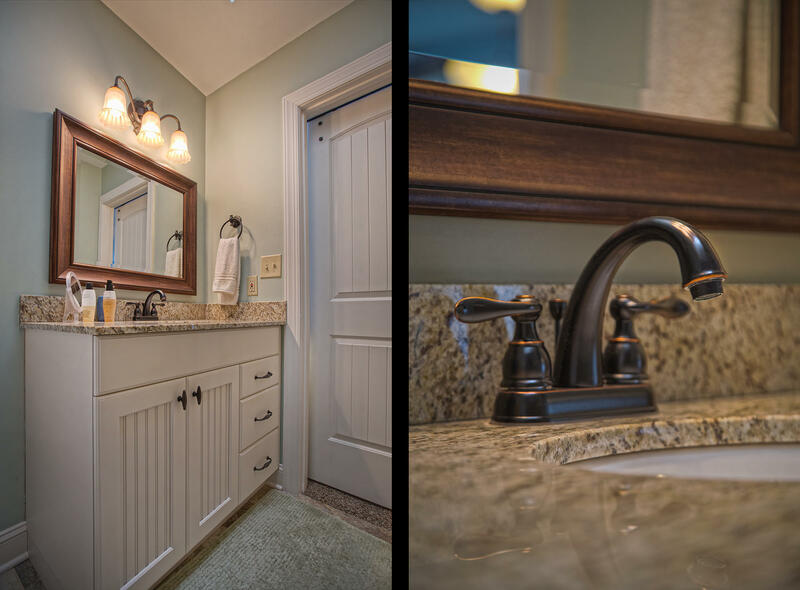 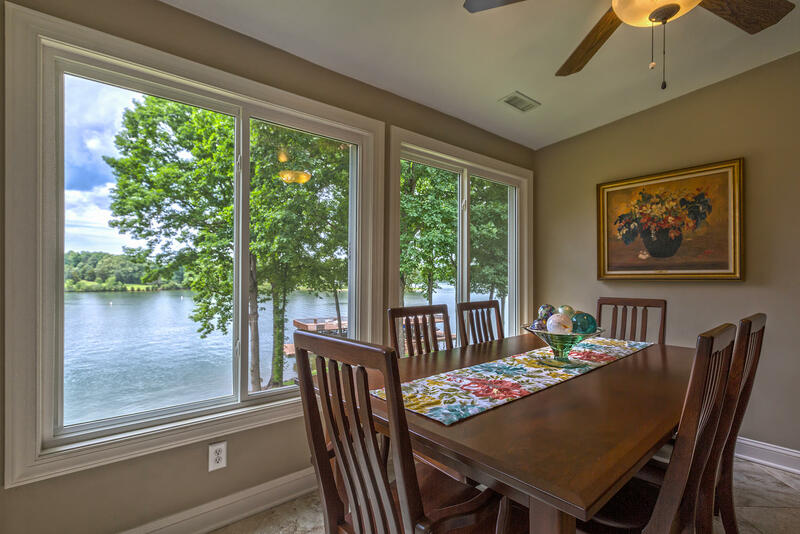 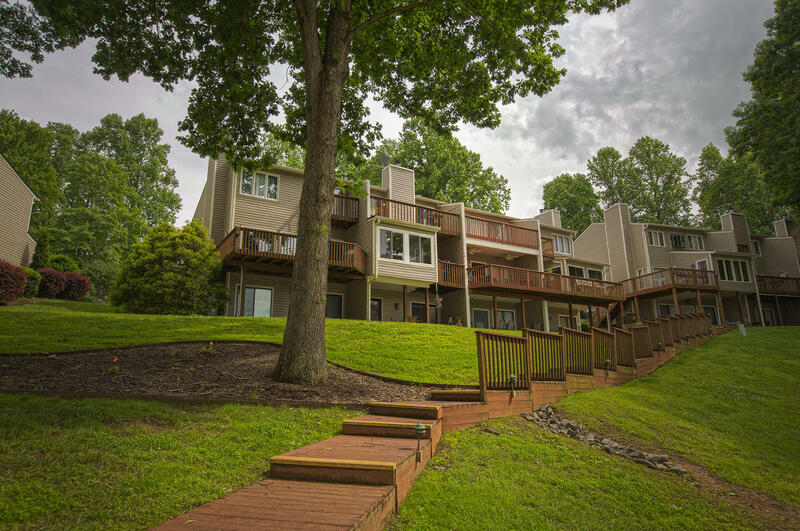 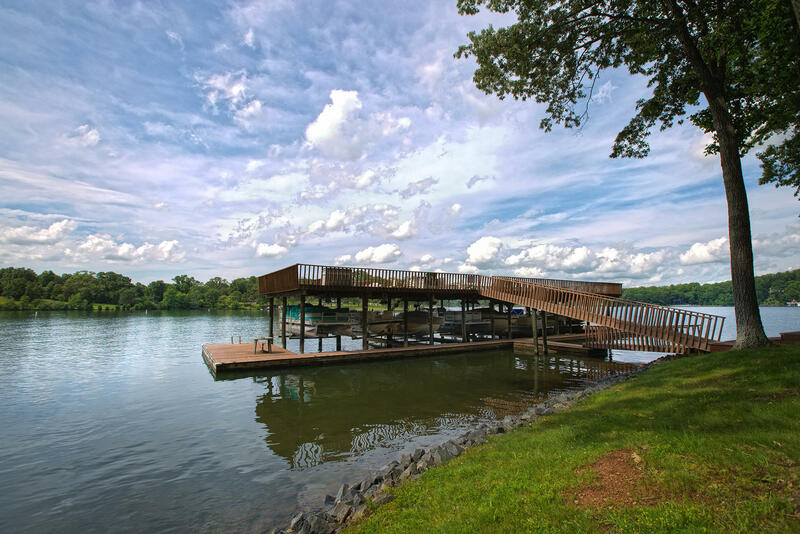 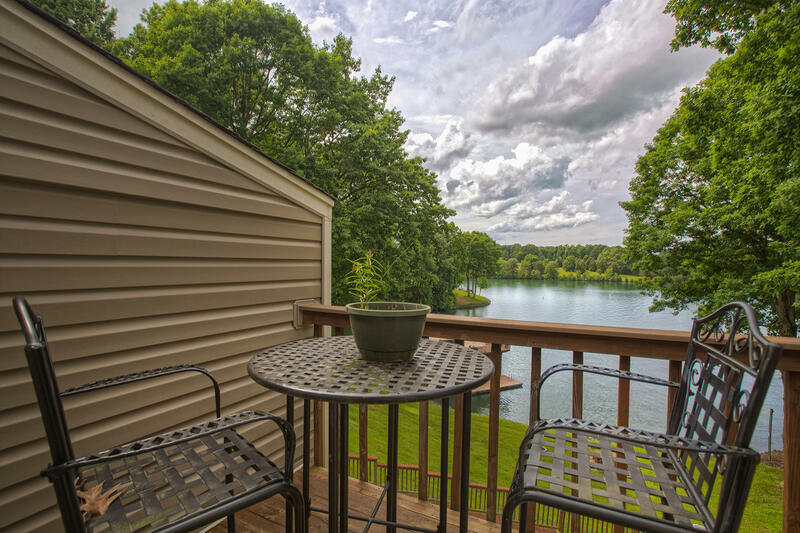 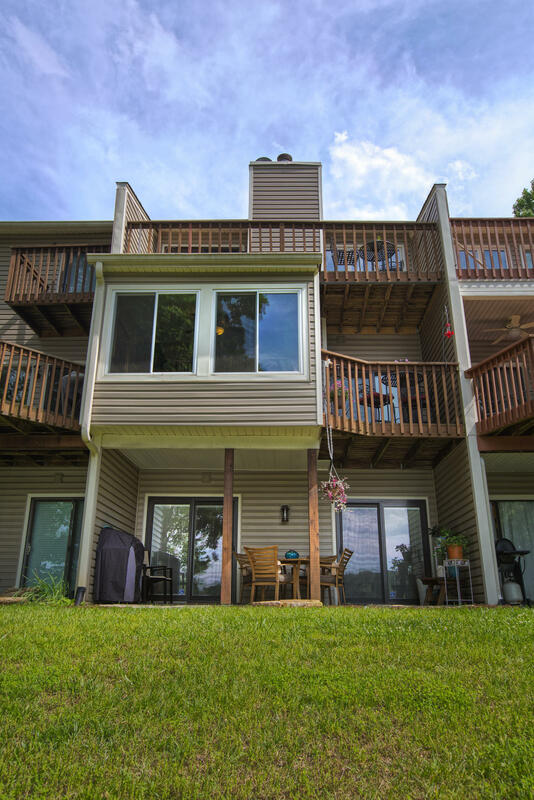 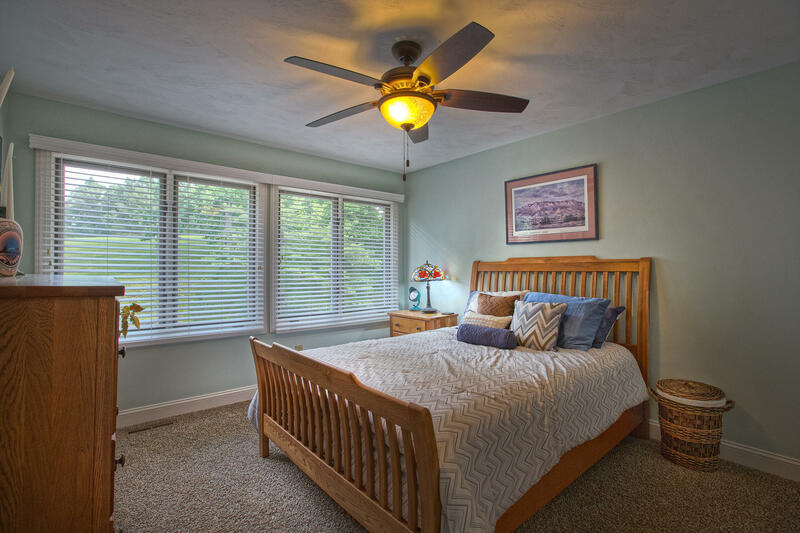 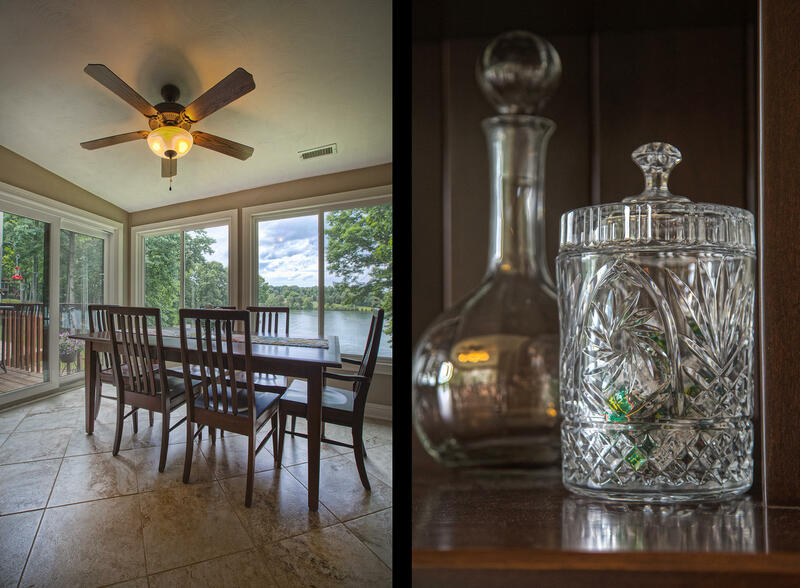 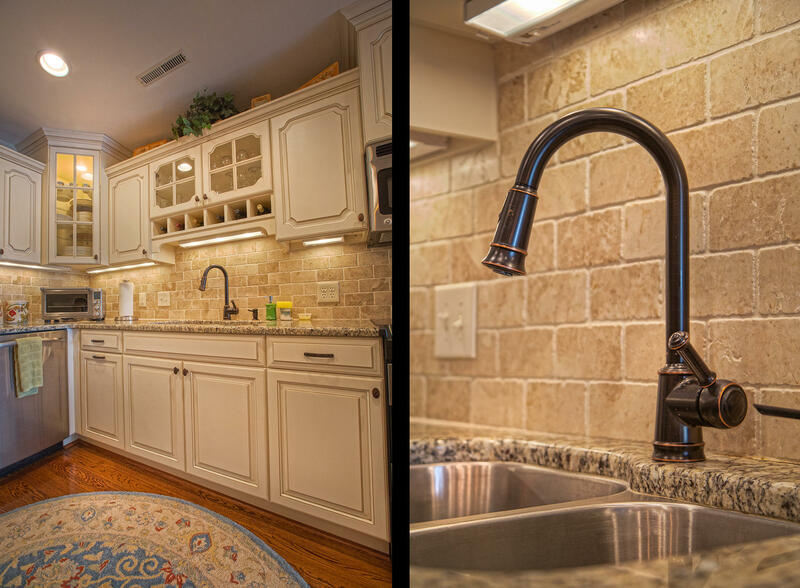 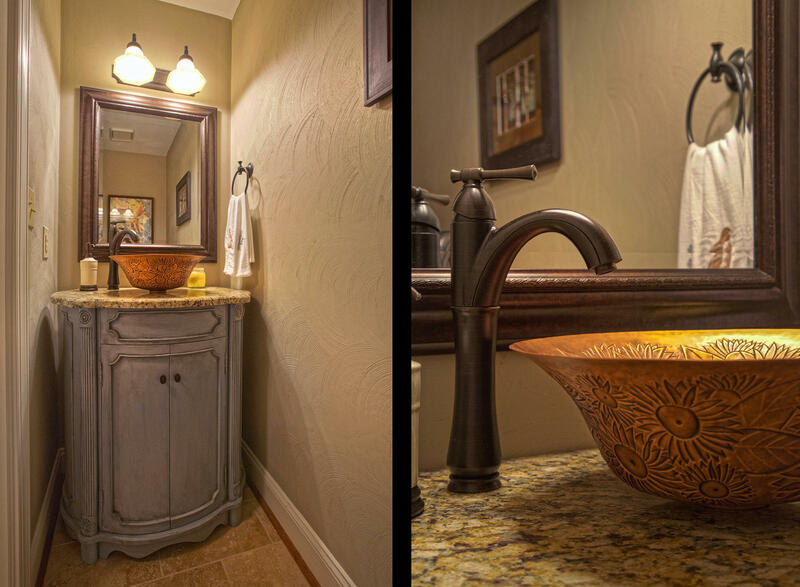 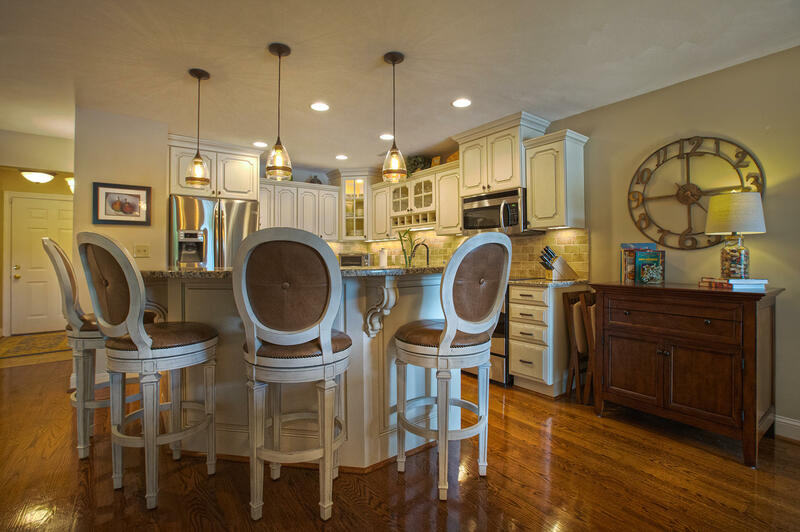 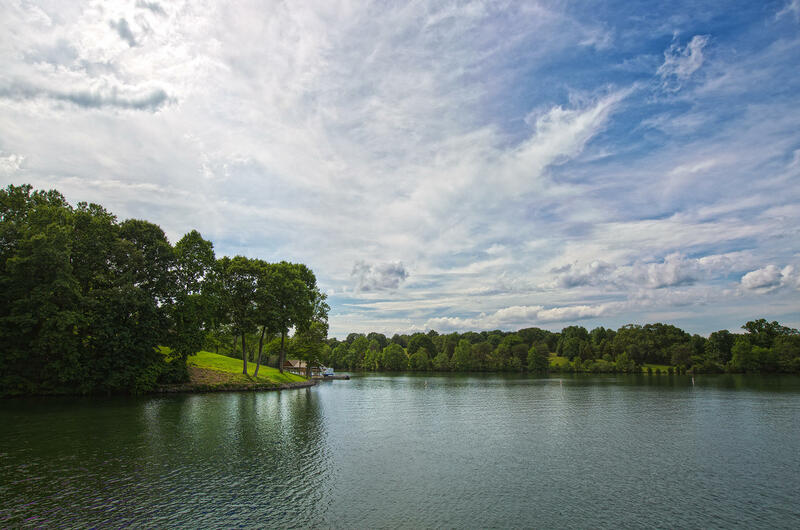 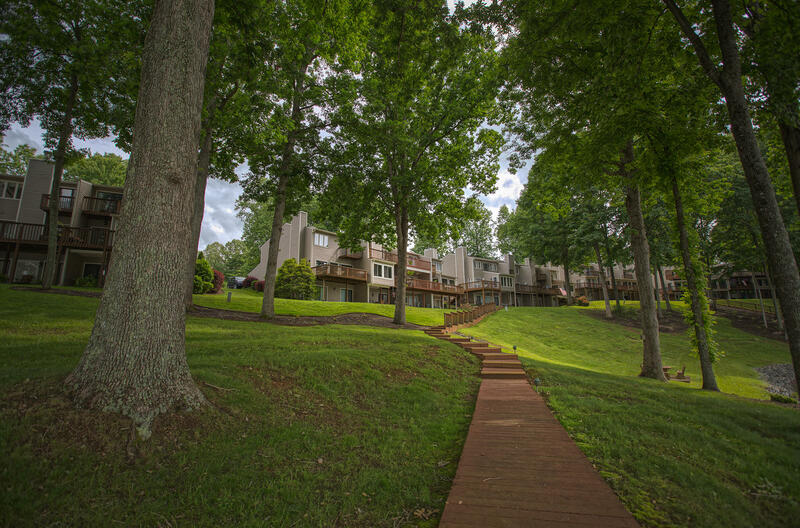 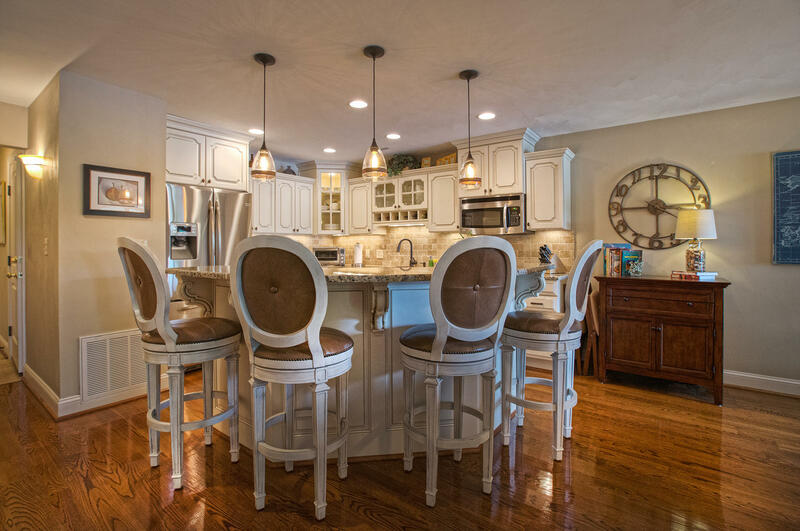 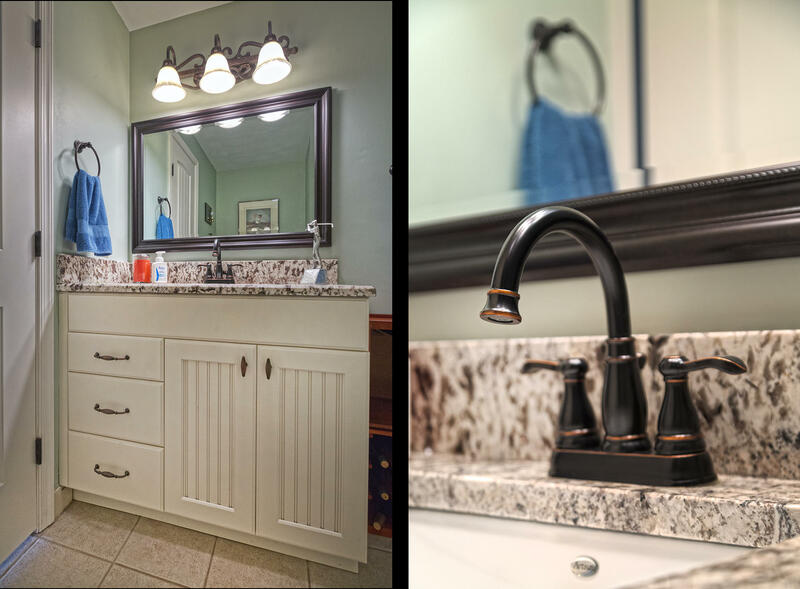 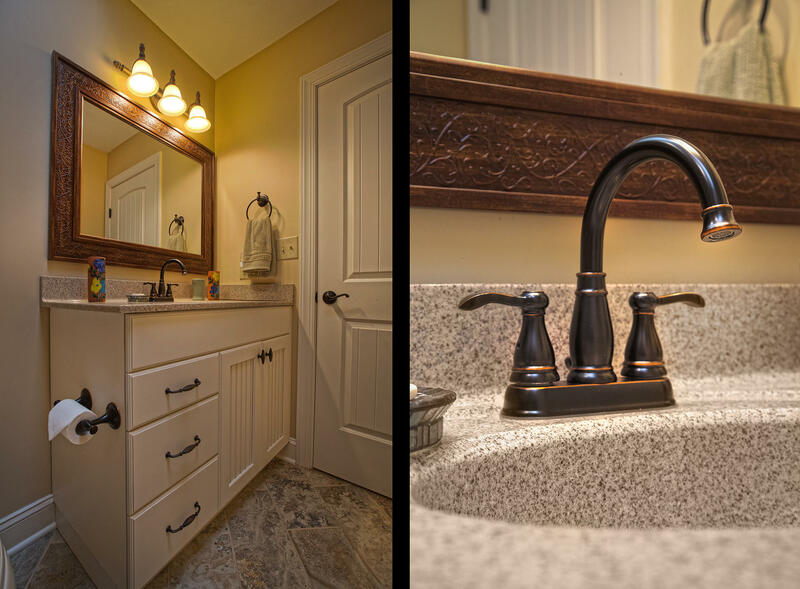 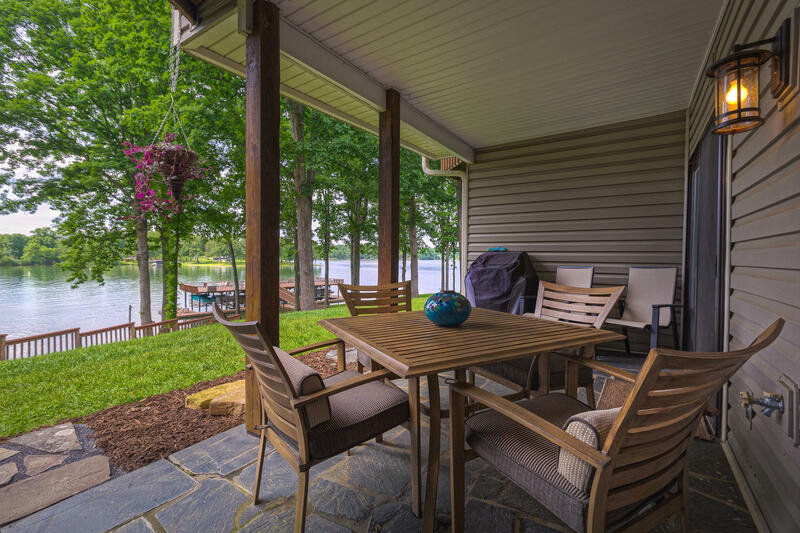 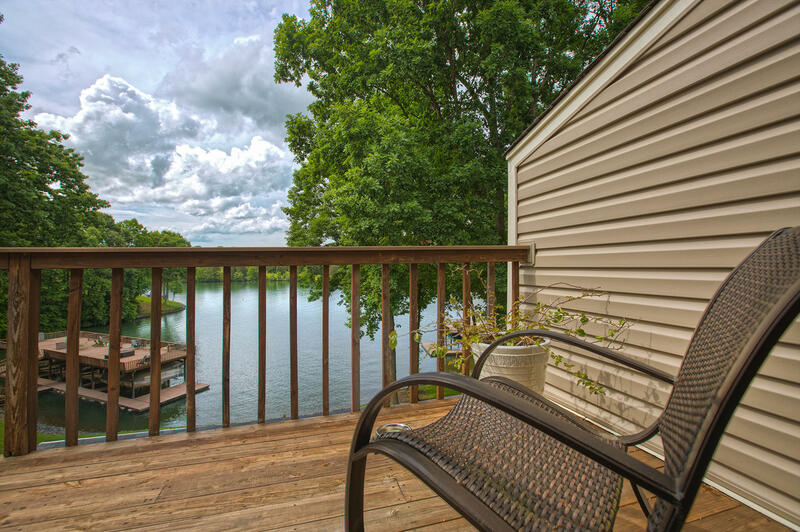 This beautiful waterfront Townhome is located in the premier golf community, The Waterfront at Smith Mountain Lake. 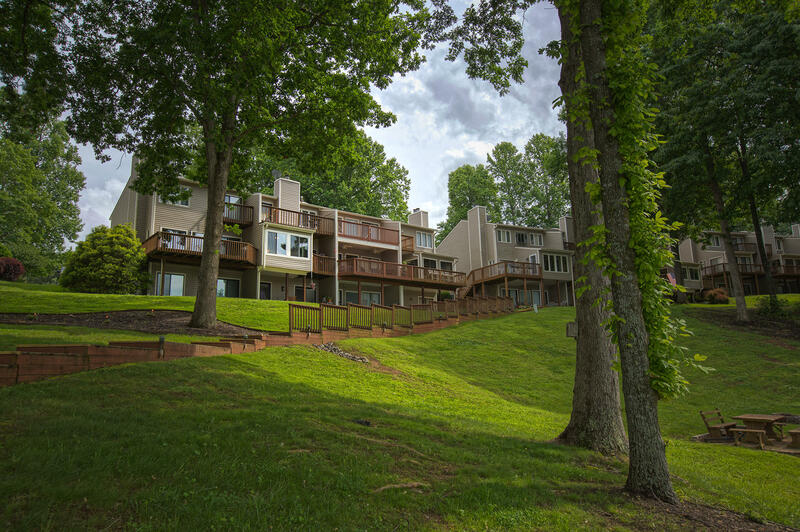 This spacious home with amazing views and tasteful upgrades must be seen to be appreciated. 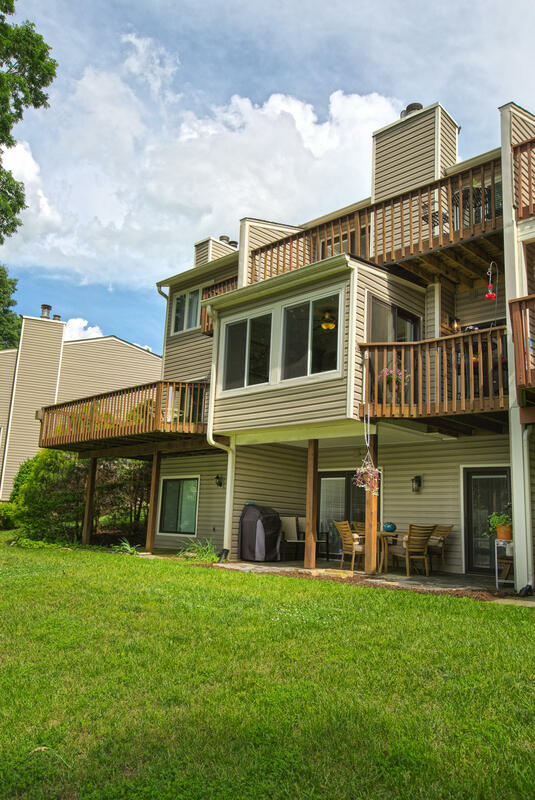 Make an appointment today to see this great home!